If you like riding perfect un-tracked snow read on …. Have you ever gazed at the resort from the lift line and thought “What if” … what if I could be up there first, what if I got to nail first run through that pow field? 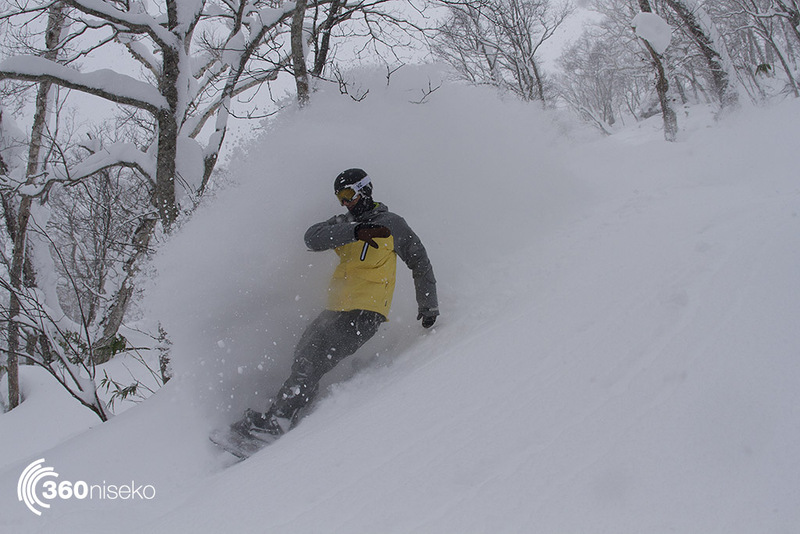 With Niseko becoming increasingly popular that can be a bit harder than it sounds. 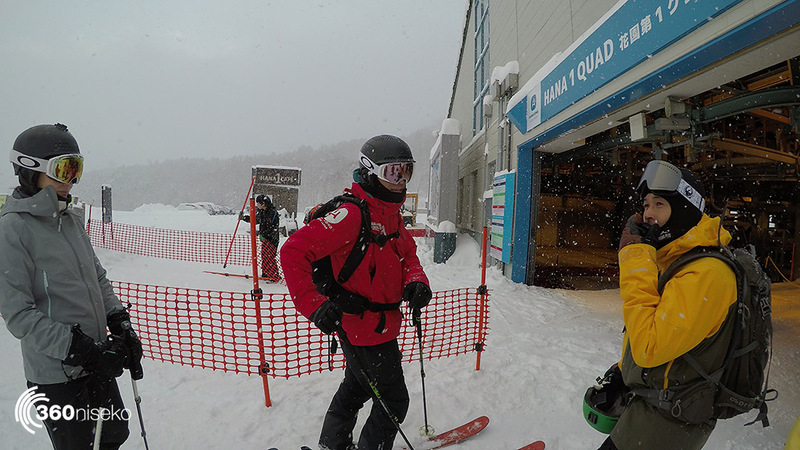 Sure you can line up and be on the first lift that leaves each morning but the stress and rush kind of kills the buzz a little, especially when a slightly faster rider slips past on the roll-in to the run starting or a clip fails or a zip gets caught … well you get the picture. Hanazono Powder Guides have the solution though with the First Tracks program and it’s a pretty simple formula that lets a limited number of guests score untracked pow to themselves prior to the regular lift service kicking off each day. 360 Jumped in to sample the service and grab some clips of the guys “Testing” the system early in the season and it’s safe to say if it’s a powder day this service is well worth jumping on. 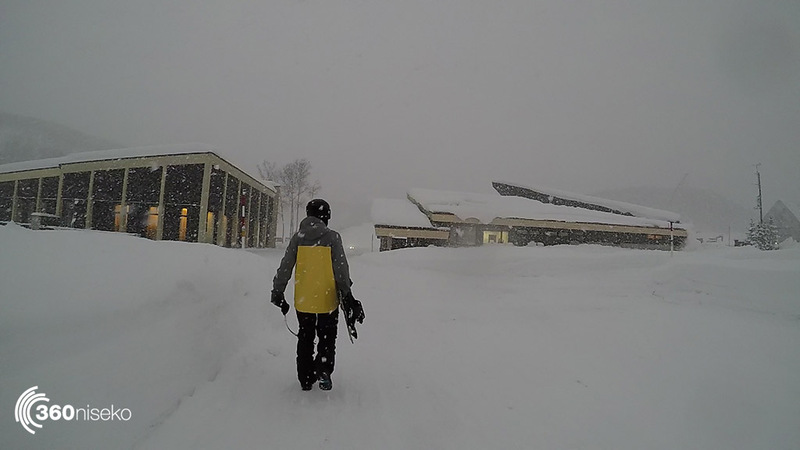 The walk into Hana 308 from the carpark on a pow day for first tracks is pretty special. 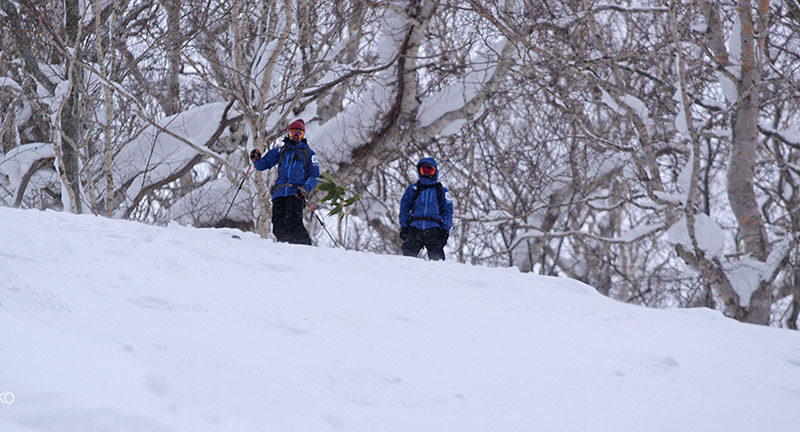 First Tracks starts via the guest pick-up and drop off service that is part of the package, from there guests meet at Hanazono’s Lodge 308 and are given backcountry packs and instruction along with a safety briefing. Imagine if this was the crowd in the entire resort for the next hour and you have an idea what the first tracks program is like. Everyone meets at 7.00am and then first bump up on the lifts is 7.30. A lucky guest about to be taken on a day to remember. There is a full menu for this service and multiple options. Niseko United Resorts and Lift-accessed BC. United Resorts and Lift-accessed BC. United Resorts, Lift-accessed BC, and Niseko Mountain Range BC. 1-4 guests per guide. 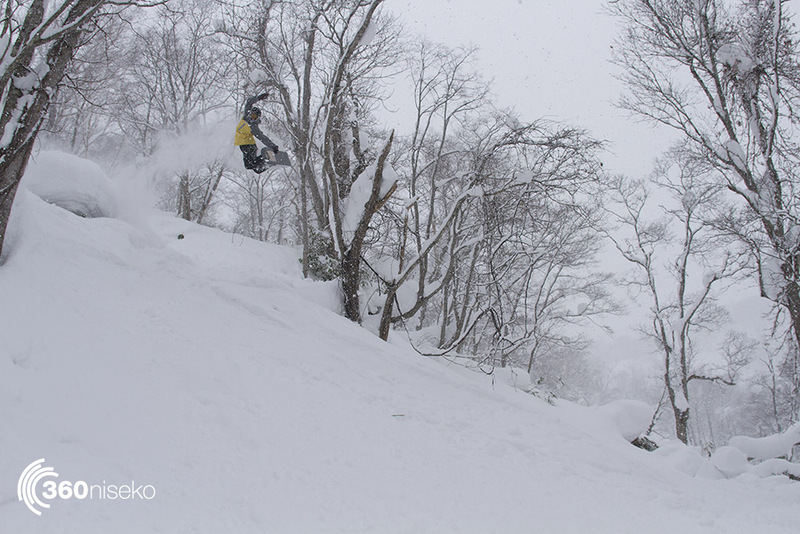 Choose any 3 days while you are in Niseko. Resorts, Lift-accessed BC, and Niseko Mountain Range BC. in the Niseko Mountain Range BC. 2-4 guests per guide, 21,000 per person. Evan Wilcox enjoying a stress free run at a Hanno pillow. The number of participants vary day to day and with a maximum of 5 guides at any one time there is never more than 20 people taking part in the program. First tracks on a powder day is an experience not to be forgotten and having been on a few of these mornings 360 can vouch for the whole experience and recommend it to anyone who digs a clean untouched slope. 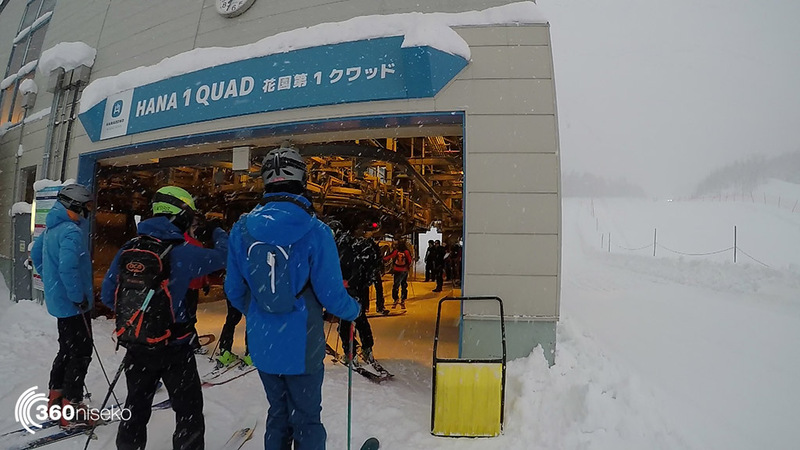 If you would like to get a feel what the First Tracks program is like check the video or to lock in for the fun head to Hanazono Powder Guides. We mentioned the pow right?